Category: Baskets. Tags: basket, ethical, fair trade, gift, Gifts for him, Gone Rural, hand woven, handcrafted, large baskets, Lucazi grass, Lutindzi grass, ribbed basket, social enterprise, storage, Swaziland. 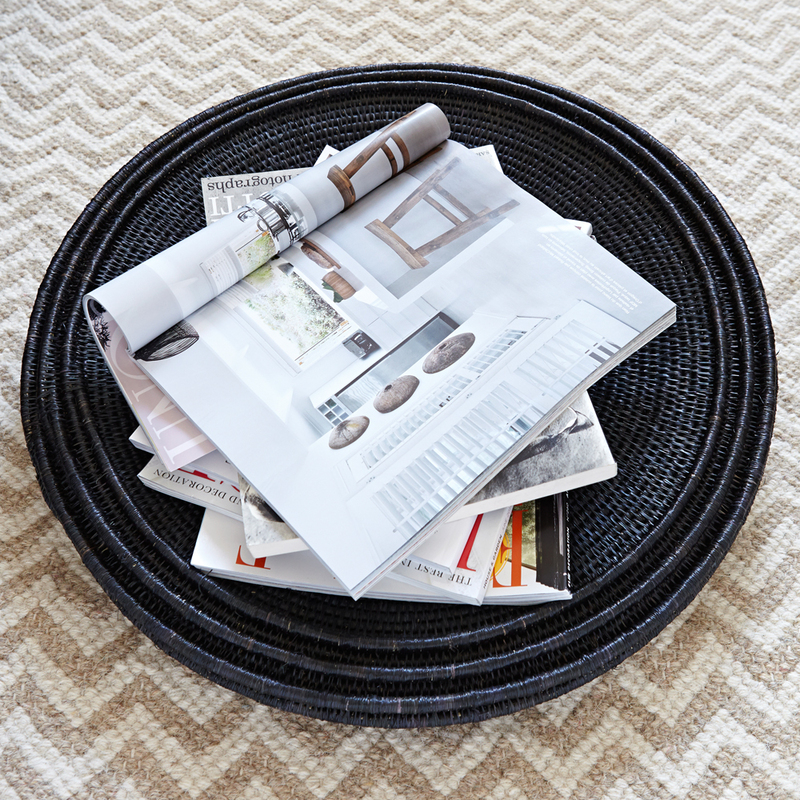 A stylish ribbed basket, which is ideal for displaying books, newspapers and magazines or as a large fruit or bread platter. This large basket has been handcrafted in Swaziland by women artisans from Gone Rural. It is cleverly constructed from from indigenous and renewable natural fibres. On first glance it appears as if three baskets have been piled on top of another, however scroll over the image and you will see that the ribbing is an integral part of the basket design. Gone Rural has cleverly combined traditional handicraft skills with contemporary designs to create stylish baskets to cherish. This open ribbed basket is part of the signature range, The Song of the Weaver, which is inspired by three generations of Gone Rural weavers. Gogo or Grandmother Christina has been working for Gone Rural for twenty years and her daughter Siphiwe and her granddaughter Bonakele are also weavers.